Is the old fashioned landline on the way out? The great majority of households in Canada do not appear to be quite ready to give up their home phones just yet, according to Statistics Canada, though analysts say that it is only a matter of time before the landline starts to become a thing of the past. Statistics Canada claims that as much as 78 percent of Canadian households last year had at least one new or old cell phone, up four percent from the figure recorded just the year before. In 2008, 83 percent of all households had a landline, yet by last year that figure had fallen ominously to just 67 percent. 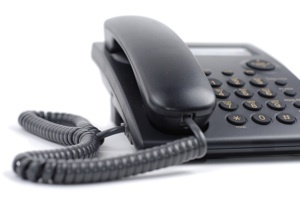 13 percent of households in Canada now have no landline at all, which may still be a small minority, but the figure has already markedly increased from just eight percent in 2008.